Oum El Dounia, (Arabic, 'The Mother of the World'). 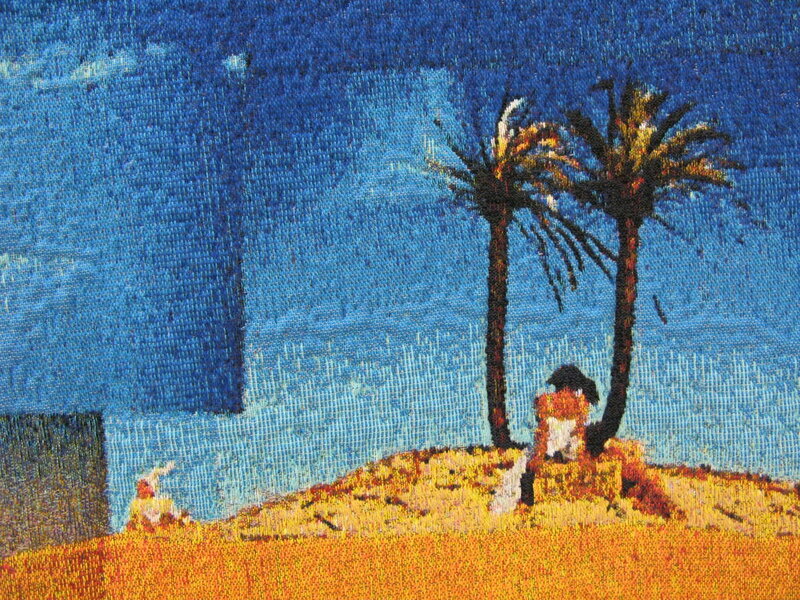 Digitally woven tapestry, 2007. Installation view, Smithsonian Museum, Freer & Sackler gallery, 2015-16. From the photo-collage, Oum El Dounia, commissioned by and collection La Fondation Cartier pour l’Art Contemporain. © Lara Baladi, 2000. Borg El Amal, (Arabic, ‘Tower of Hope'). Sound and architectural ephemeral installation in situ. 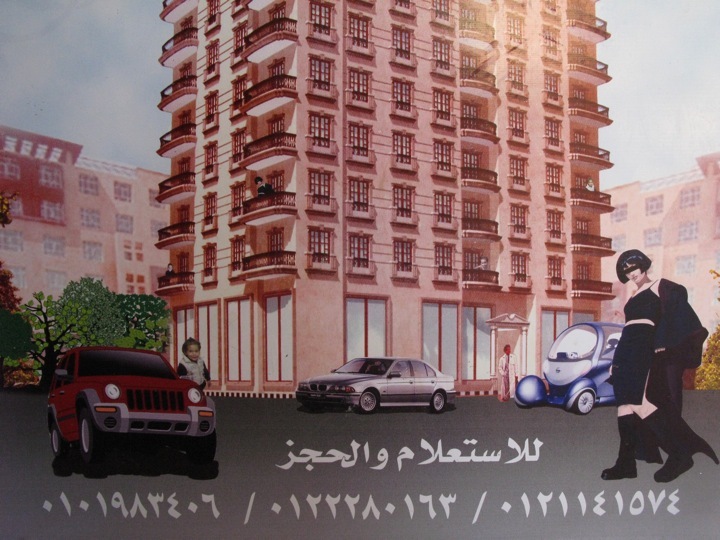 First Prize, Cairo Contemporary Art Biennale, Egypt. 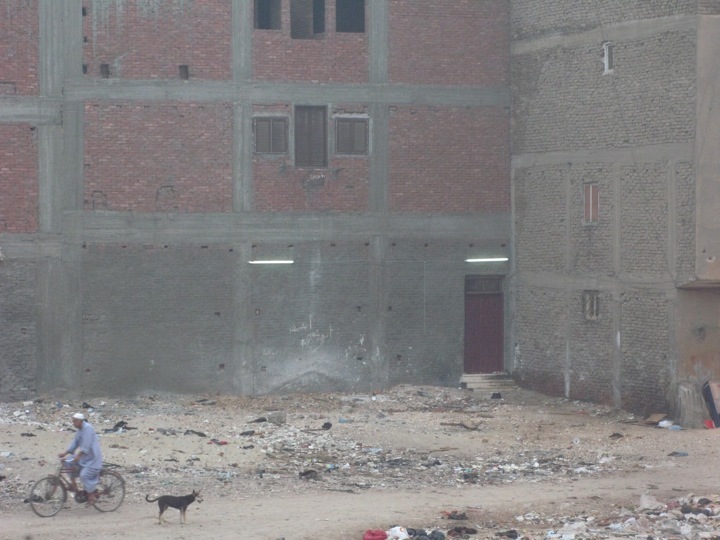 © Lara Baladi, 2008/09. To view publication of the Hope project and Donkey Symphony, click here. Above: Donkey Symphony. Excerpt. Burrolandia Donkeys (Spain), cello, soprano and violin. 19 mins. Sound component of Borg El Amal (Tower of Hope) composed by Nathaniel Robin Mann, Madrid, Spain. © Lara Baladi, 2008. Above left: Donkey Symphony performed in collaboration with the Kiev Kamera Orchestra, Kiev Contemporary Art Biennial, 2012. Donkey Symphony performed in an abandoned silo, Art Omi residency projects, NY, USA. © Lara Baladi, 2014. Qabr El Zaman, (Arabic, the ‘Tomb of Time’). Architectural Installation. Grey raw marble, photographs printed on porcelain, trompe l’oeil wall paintings and permanent pigment print of digital photo-collage on gesso-coated aluminum panel. Commissioned for and collection of Mathaf: Arab Museum of Modern Art, Doha, Qatar. © Lara Baladi, 2010. Vodka Camomile, Cocktail for a Revolution. Excerpt. 'Sketch' for a book, published in Agni, Boston University, 2016. 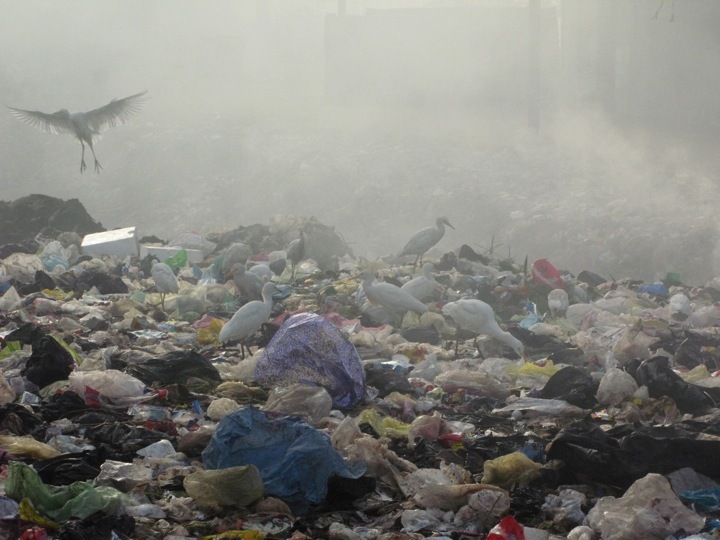 Justice for the Mother and Perfumes & Bazaar, The Garden of Allah. Installation views, Occidentalism, Cairo and The Beauty of Distance, Sydney Biennial, 2010. Digital montages, 560X248CM. Material variable. © Lara Baladi, 2016/07. Roba Vecchia, (Italian, Ragman). 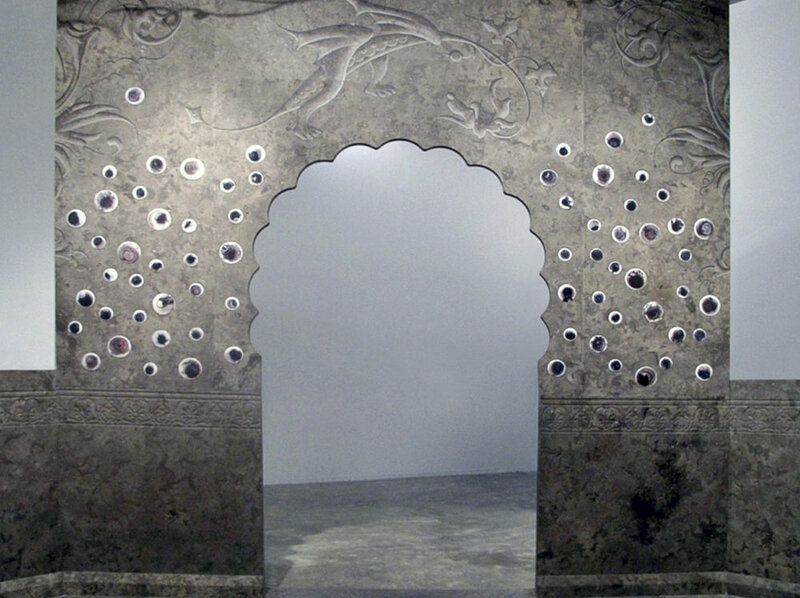 Installation view, Townhouse Gallery of Contemporary Art. Life size kaleidoscope, rear projection on mirrors, specially written software. 1120X245CM. Egypt. © Lara Baladi, 2006. Photo-essay commissioned by Bidoun Magazine, Dubai, United Arab Emirates. © Lara Baladi, 2005. Baladi Collection is a T-shirt collection inspired by the Egyptian term, baladi, 'my country' and/or 'kitsch.' 9 logos borrowed from locally produced Egyptian goods tell the History of Egypt in the twentieth century on each T-shirt. Postcard and installation views. Espace SD, Beirut Lebanon. ©Lara Baladi, 2005. Sandouk El Dounia, (Arabic, ‘the World in a Box’ and also the name of the precursor to the moving image). Digitally woven tapestry. 780X650 CM. 2007. Installation view, Penelope's Labour, Cini Foundation, Venice Biennale, 2011. From the reproduction of the original photo-collage, Sandouk El Dounia. © Lara Baladi. Al Fanous El Sehry, (Arabic, ‘The Magic Lantern’). Installation view, Townhouse Gallery of Contemporary Art. Medical x-rays montaged in Photoshop, 9 meter diameter iron Islamic star, 16 light boxes, acetate prints, 29 meter circumference. Egypt. © Lara Baladi, 2002.